Posted in: Crafts-Hobbies, Photography, Technology, Uncategorized. Tagged: want, weapons. I’ll be getting a set of these grips for my Ruger Mark II, someday soon. 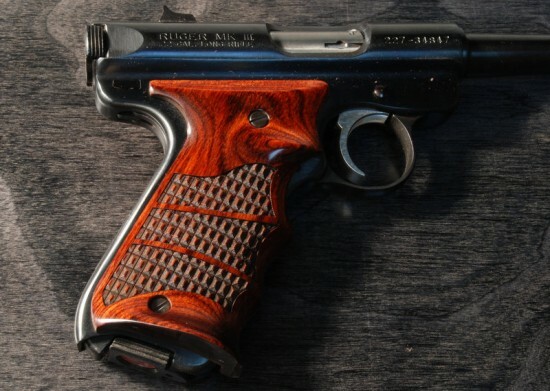 Altamont – Pistol Grips – Ruger Mark II.